Expected on the market in the next few months. 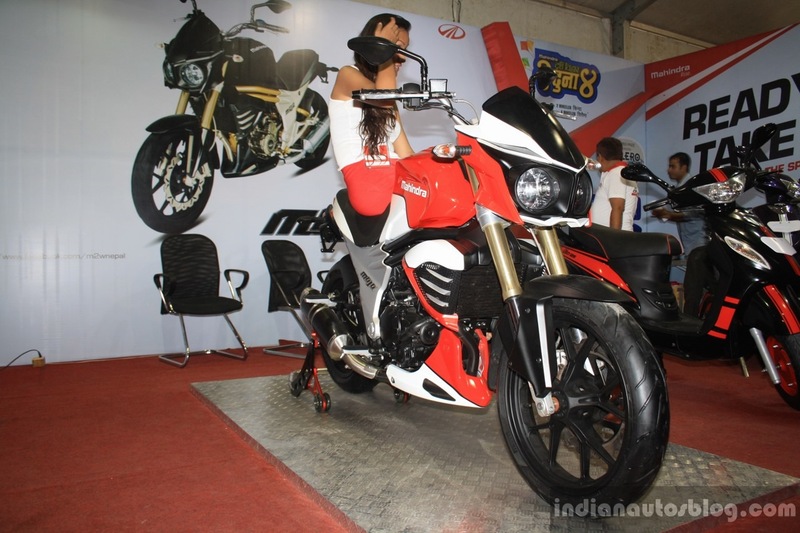 The Mahindra Mojo is being showcased at the 2014 Nepal Auto Show (2014 NADA) alongside the Mahindra Rodeo UZO 125 scooter. The flagship motorcycle from Mahindra Two Wheelers is yet to launch even in the Indian market. 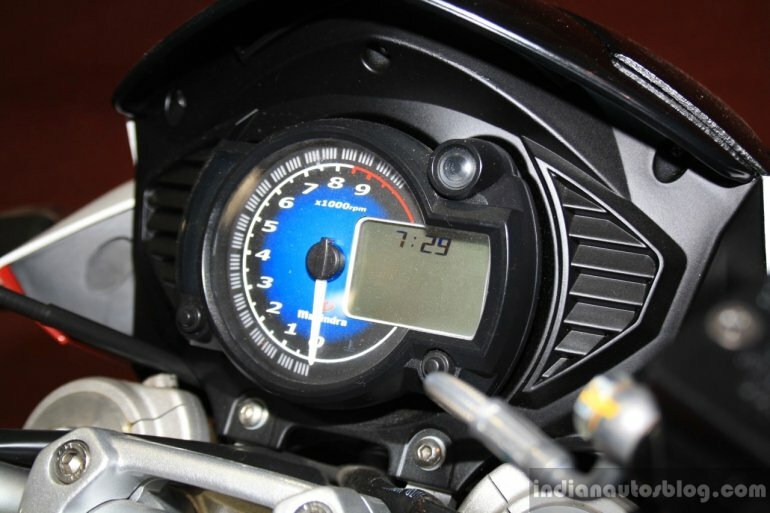 The flagship motorcycle is confirmed for the Nepalese market. First showcased as a concept in 2010, the production-spec Mojo was unveiled at the 2014 Auto Expo. The motorcycle saw design changes come in the form of a new fuel tank, tank extensions and LED daytime running lights resembling eyebrows above circular headlight cluster. Mahindra confirmed that the bike will be powered by a 296 cc single-cylinder, fuel-injected, liquid-cooled engine which is paired to a 6-speed transmission with a chain drive. Power and torque figures stand at 26 PS (25.6 bhp) and 25 Nm respectively. The bike gets a petal type disc brake up front and comes shod with Pirelli Sport Demon tires, and its other features include dual exhausts and a rear mono suspension. When it goes on sale, the Mojo will compete with the Suzuki Inazuma, KTM Duke and Honda CBR250R in India. Its Indian price is expected to be in the range of INR 1.2 - 1.5 lakhs, ex-showroom.